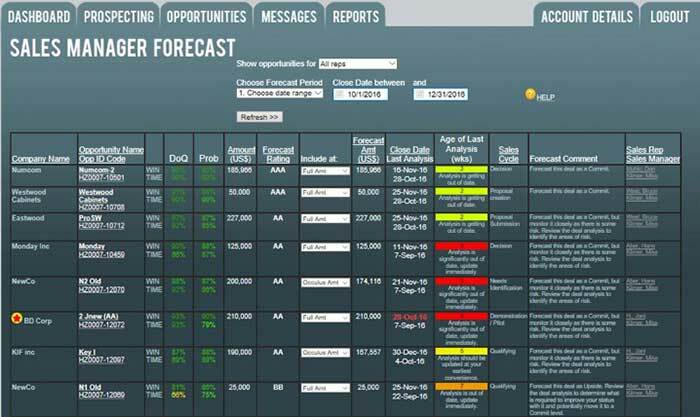 Occulus is a cloud-based sales analytics system that focuses on pipeline management and forecasting. Occulus differs from other sales analytics tools available by using Probability and Statistical Analysis on all deals in the pipeline to identify troubled ones; allowing early intervention by the sales manager. Occulus also produces a fully automatic on-demand sales forecast that is greater than 85% accurate on a deal-by-deal basis. Occulus will work in any sales organization that deals with complex (enterprise) sales and is competitively priced by the number of seats. It incorporates a number proprietary algorithms to produce the analysis results and the forecast. Occulus also integrates with major CRM platforms and can also operate as a stand-alone system. Based on the Occulus analysis, sales managers can quickly assess the status of all deals in the pipeline and identify those that are in trouble (the deal will be lost or will slip past the projected Close Date). This permits higher level intervention or simple Sales Coaching using Occulus’ unique Asynchronous Sales Coaching capability to get the deals back on track before it is too late. The Occulus Forecast, also based upon the individual deal analysis, determines whether the deal in question is one that should be forecast, how much should be forecast and how risky it is to be forecast. It then automatically creates an overall forecast for the quota period. The sales manager’s input is not required to create the forecast, although at their option, they can override the Occulus recommendations. In addition to providing a fully automatic and accurate forecast, Occulus also provides a War Room function that tracks how the sales team is performing compared to targets/quota. More significantly, Occulus provides the sales manager with the data that can help close the gap between forecast and quota, by identifying those deals in the pipeline that have the potential to be won or deals that can be brought forward from the next quarter. The analytical foundation of Occulus is information about the deal provided by the sales rep, who completes a form consisting of a series of straight forward multi-choice questions that cover the pertinent areas of any deal. How well is the deal qualified? What is the probability that the sales rep will win the business? What is probability that the deal will close by the stated Close Date? 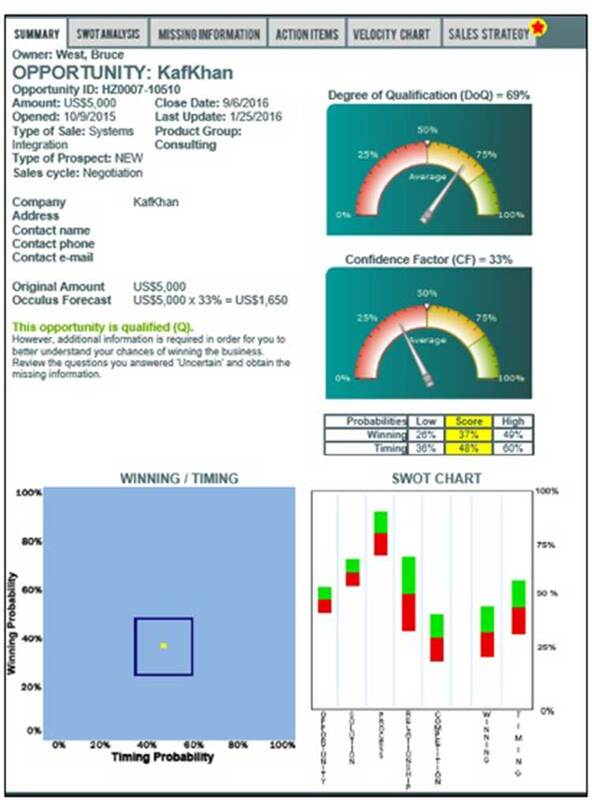 A deeper level of the Occulus analysis, specifically created for the sales rep, is the SWOT analysis which identifies the strengths of the sales rep’s selling strategy and the risk associated with it. Next Steps in the Sales Process – Based on the SWOT analysis, Occulus provides advice and guidance to the sales rep through a series of Next Steps that can be implemented to drive the deal forward through the sales process resulting in shorter selling cycles. Asynchronous Sales Coaching – Occulus’ unique Asynchronous Coaching capability allows the sales manager to efficiently and effectively coach their sales reps, ask questions and provide advice on how to close and win the deal, without the requirement of one-on-one coaching sessions. This eliminates the challenges of setting up live coaching sessions and is of significant benefit for sales managers with geographically dispersed sales teams. Automated Forecast – The Occulus forecast is based on the individual deal analysis and is created on a deal-by-deal basis, accurately reflecting how sales management creates a forecast, and is fully automatic requiring no input from the sales manager. However, the sales manager can easily override the Occulus recommendation with a simply click of the mouse. Having an automated forecasting system saves significant amounts of selling time for both the sales rep and the sales manager. War Room – Once the forecast has been created, Occulus analyzes the suite of opportunities and creates a War Room report that identifies those deals that are close enough to winning and can be targeted for closing or those that could be brought forward from the next quarter. Occulus is hierarchical and has been designed to reflect the typical sales organizational structure; information flows up from the sales rep, through the sales manager to senior sales management. The Occulus User interface is very straight forward and extremely intuitive. If integrated with the CRM, access to Occulus, login and authentication is managed by the CRM. For the sales rep, specific deal data is automatically transferred from the CRM to Occulus, the sales rep simply completes the form and the deal is then analyzed. For sales management, the Occulus Dashboard shows all deals in the team’s pipeline, by simply clicking on the deal name the sales manager will be transferred to the deal analysis and can review the detailed status of the deal and the analysis results. In addition to the Forecast and War Room Reports, there are a number of pipeline reports available that provide an overall status view of the sales pipeline. In addition to the War Room and Pipeline reports, Occulus also produces the Velocity Report that is deal specific, and graphically tracks how each deal is progressing through the sales process. The sales analysis market is crowded with numerous companies offering solutions to the problems of sales pipeline management and forecasting. 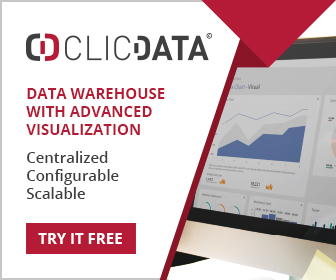 They range from bolt on products that extract data from the CRM and apply statistical methodologies to produce a forecast to the all too common (and widely used) Excel spreadsheet. And though Occulus competes for mindshare with many of these products, the company’s approach to dealing with the problems of effective pipeline management and inaccurate forecasting makes it unique. Other companies look at what happened in the past to predict the future by applying statistical methodologies; Occulus’ approach is different. Occulus gathers data about each deal and using probability and statistical methodologies predicts the most likely outcome for the deal: the deal will be won or lost; the deal will or will not close by the stated Close Date. Occulus has a number of selective high quality customers. The data, algorithms and logic behind the Occulus analytics have been developed, tested and confirmed and the results have proven themselves to be both accurate and reliable many thousands of times in real world selling situations.